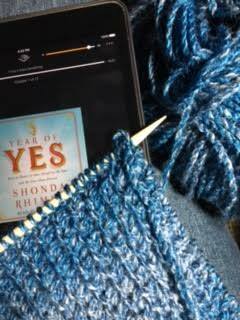 Listening to Year of Yes: How to Dance It Out, Stand In the Sun and Be Your Own Person by Shonda Rhimes and knitting One Row Handspun Scarf. I love the beautiful color! !